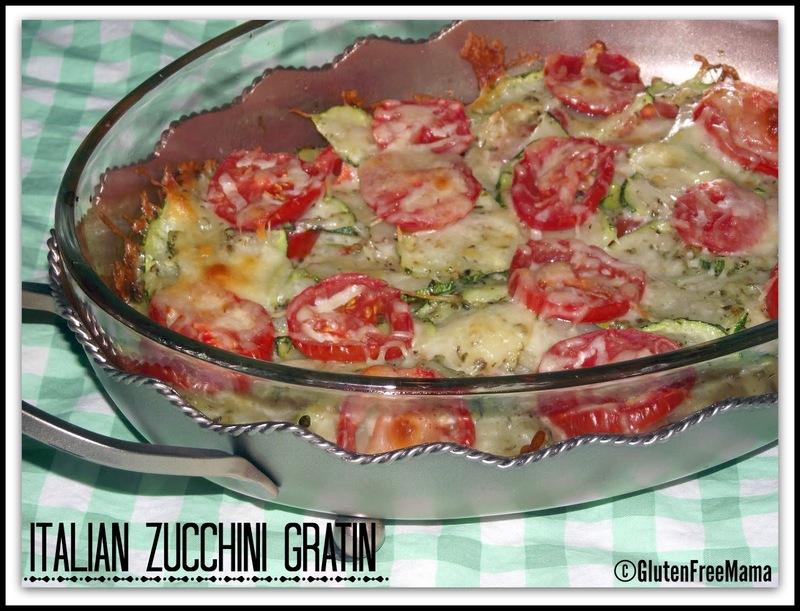 This is a great summer side dish for using up all that zucchini you have been growing all summer. It’s easy to make! The recipe calls for Herbs De Provence. Herbs de Provence is a mixture of dried herbs that are typical in Provence, France. It includes a mixture of marjoram, rosemary, thyme, oregano and in some american versions may include lavender. You can buy it in the spice section at your local grocer, or in bulk from your health food store. If you don’t have this on hand, you can substitute Italian Seasoning. However, if you can try out Herbs de Provence. It can also be used on Mama’s Fresh Mozzarella and Tomato Appetizer, is great rubbed on chicken and mixed in with Mama’s Almond or Coconut Blend with salt and pepper for a coating for fried chicken, fried zucchini or fried mozzarella sticks. It is also great added to soups. Slice zucchini into 1/4 inch slices. Toss evenly with olive oil. Add Herbs de Provence and toss to coat. Set aside to marinate for 5-10 minutes. Meanwhile slice the tomatoes. Layer half of the zucchini slices in a 9 inch casserole dish. Layer half of the tomatoes over top of zucchini slices. Evenly sprinkle half of the cheese over the top of the tomatoes. Repeat with remaining zucchini, then tomatoes, then cheese. Bake uncovered for 25-30 minutes or until cheese is melted. I&#39;m going to have to try that, it looks so good. Only thing I&#39;ll change is I&#39;ll use Calabash Zucchini because I prefer it&#39;s milder flavor. To me, regular Zucchini has a fishy type taste to it. Thank you for the recipe, I can&#39;t wait to try it.